Chatsworth House, the historic residence of the Duke and Duchess of Devonshire, has an ever-deepening connection with the arts. It is home to one of the finest collections of painting, sculpture and furniture in the United Kingdom, and this past weekend its grounds were host to the fourth edition of Art Out Loud, an annual festival of talks by artists, architects, writers and figures from across the arts. The event, according to the Duke, "provides an exciting forum for the discussion of art and design today." 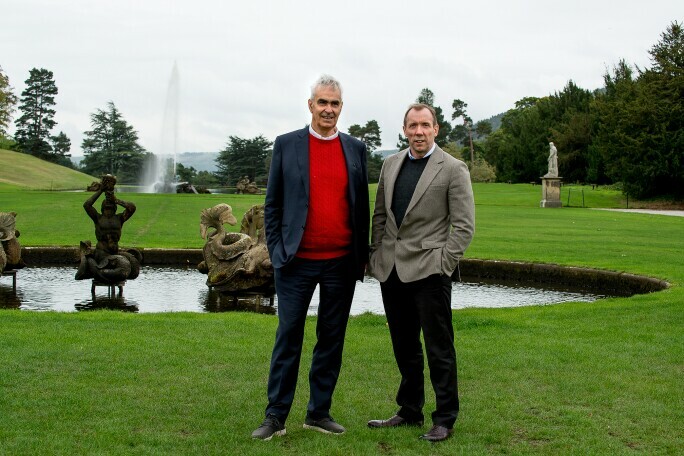 Martin Gayford and David Dawson on the South Lawn at Chatsworth. Among the curtain-raising talks was a conversation between Turner Prize-winner Lubaina Himid, who last year made history by becoming the first female black artist – as well as the oldest – to win the Turner Prize, and Tate Modern curator Zoe Whitley. The pair discussed their careers and the political potential of art and curating. This set the tone for a talk by London-based artist Idris Khan, who delved into the intricacies of his practice, which involves merging photographic techniques with painting and sculpture to explore topics such as literature, history, religion. David Dawson and Martin Gayford Discussing the Life of Lucian Freud on Stage. 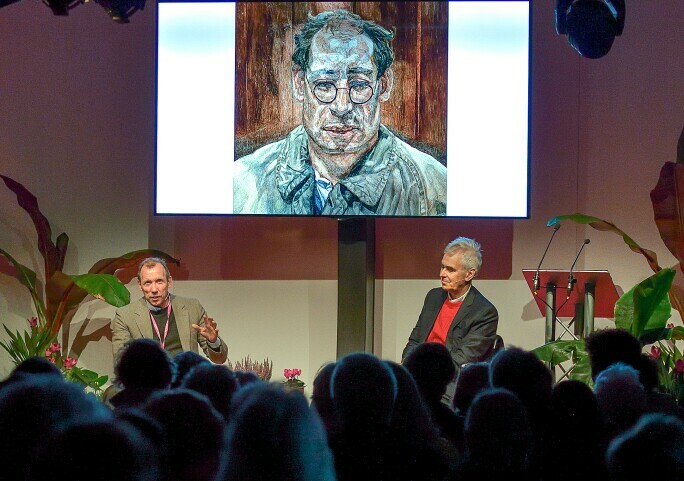 In the Lions Step tent on Saturday, David Dawson, close friend and assistant to the late Lucian Freud, was in discussion with art critic and author Martin Gayford. They had both sat for the British artist during his prolific, nearly seven-decade-long career and have contributed to Lucian Freud, a new two-volume book that is the most comprehensive publication on the artist to date. Together they painted an intimate portrait of Freud and daily life in his studio. “The individualism of everything was paramount to Lucian’s vision of truth-telling… he really believed in the atmosphere that you created in a room,” said Dawson. At the Seahorse Fountain tent, collector and interior designer Axel Vervoordt – who recently collaborated on Kanye West’s estate in Hidden Hills, California – spoke about his interest in mixing old and new, his love for Lucio Fontana, and his fresh concept of minimalism based on “things that are human, and that have a great positive energy." 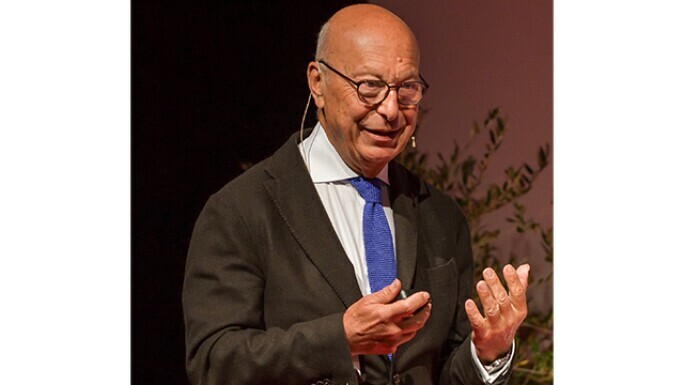 Axel Vervoordt Discussing His Collecting Career. The singular character of Chatsworth House and its programming owes a lot, of course, to the Duke and Duchess themselves, and in March they celebrated completing a 10-year conservation and restoration project of the house – the largest in its history. 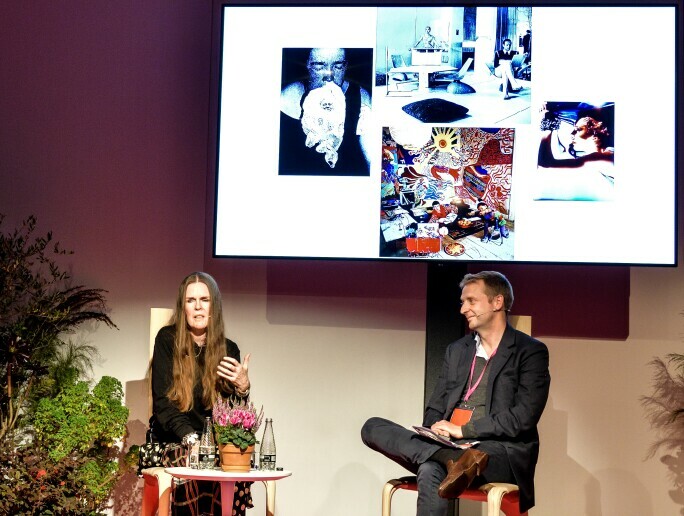 The couple held a conversation with the architect, Peter Inskip, and director Anna Farthing, in which they talked about the developments and some of the discoveries they made. These included a stone slab carved with the initials of William Cavendish, the First Duke of Devonshire, and messages cut into the walls by employees over the years. “Some of them were quite unkind about their managers,” said the Duchess. In another architecture-focused talk, RIBA Stirling Prize-winner Amanda Levete had her audience transfixed as she spoke in great detail about two of her major projects, the Museum of Art, Architecture & Technology in Lisbon and the V&A in London, and the challenge of “renegotiating the relationship between the street and the museum”. 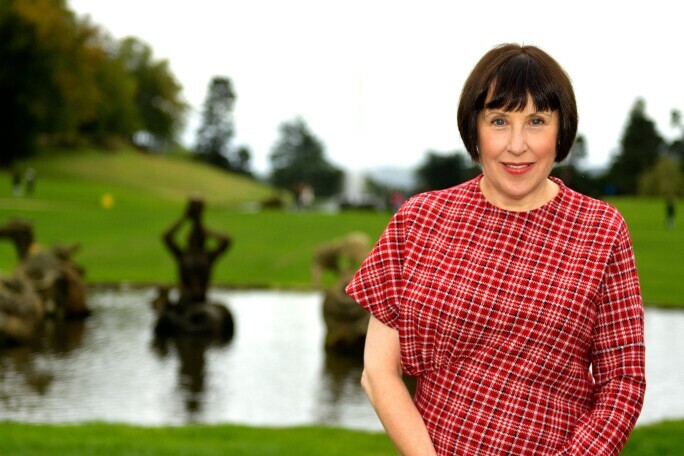 Alice Rawsthorn on the South Lawn at Chatsworth. 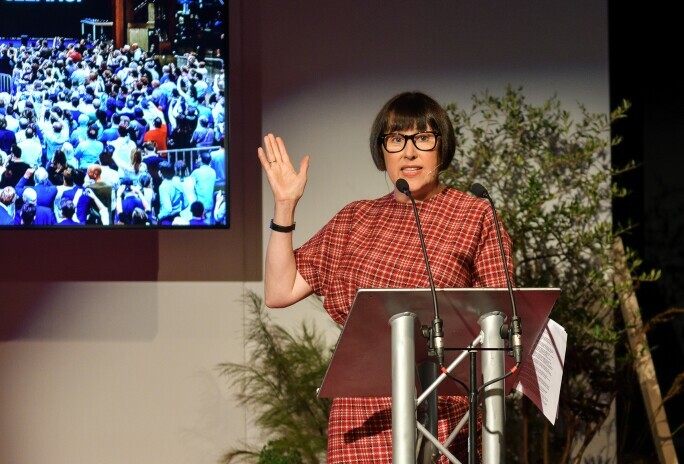 Taken together, the myriad ideas, views and hopes put forward at Art Out Loud are representative of the wealth of knowledge Chatsworth House can attract. They allow us, as the Duke explained, “to explore how contemporary art breathes new life into our understanding of the past."